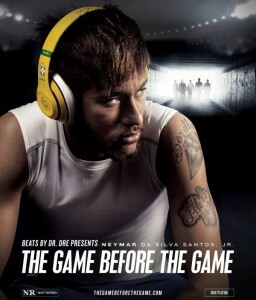 The FIFA World Cup 2014 came to an end last Sunday with Germany becoming the World Champion. It was the first time a European team claimed the World Champion title at a game hosted on South American soil. 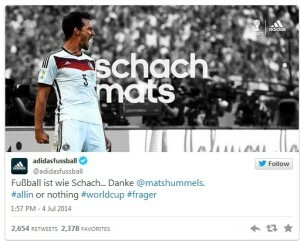 The World Cup set a number of new world records and some of its games made history – not just on the field, but also in social media. More than 350 million people posted 3 billion interactions on Facebook during the World Cup, creating the largest online conversation to date. A total of 35.6 million tweets were sent during the Brazil’s 7-1 defeat by Germany in the semi-finals, making it the most talked about World Cup event. That’s roughly 11 million more tweets than the number of tweets sent during the Super Bowl XLVIII in 2013 (24.9 million tweets); an eye-popping number, for marketers in the US, who are adept at using large entertainment and sports events for marketing purposes but had questioned the size of the US soccer viewership in the past. The games also attracted a strong TV viewership. According to the Wall Street Journal the game between the US team and Portugal drew a combined audience of 24.7 million viewers between ESPN and Spanish- language Univision. Perhaps it helped that the coach of the US national soccer team Juergen Klinsman had posted an open letter to businesses urging them to let their employees watch the games and support the US team. US soccer fans could download the letter and bring it to the office to ask their bosses to let them watch the US team matches. Every year companies launch roughly 30,000 new consumer products. A staggering 95 percent of the new products end up failing, according to Harvard Business School professor Clayton Christensen. We also only read and hear about a small percentage of all these new products – mostly the breakthrough successes and the worst product flops. It’s hard to get a new product on the peoples’ radar, especially for startups. 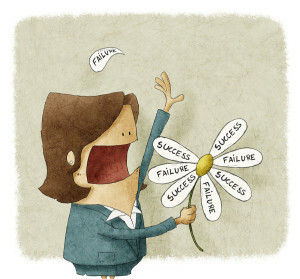 Marketing flops, and ultimately product launch failures, are not only costly, they can be fatal. Startups and early growth companies simply don’t have the resources at hand like larger competitors to absorb those financial backlashes. Hence it does not astonish that according to NASBP, 46 percent of all US-based businesses failures occur due to a lack of marketing knowledge or management incompetence. And of course the reasons for startups to fail are numerous: from running out of cash, gabs in the strategy, wrong market positioning over to wrong leadership there are many hurdles for entrepreneurs out there. For consumer products, another hurdle is a person’s buying habit. Consultant Jack Trout stated that American families, on average, repeatedly buy the same 150 items, which constitute as much as 85% of their household needs. The challenge to get something new on the people’s radar, might be one of the toughest, but it can be achieved with the right marketing and PR strategy. 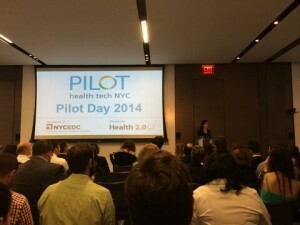 The New York City Economic Development Corporation (NYCEDC) and Health 2.0 hosted the NYC Pilot Day 2014 to showcase startups that receive parts of the $1,000,000 in Pilot Health Tech funding. The concept is simple: early-stage health tech companies are piloting new technologies with healthcare providers and other stakeholders from across New York City’s five boroughs. They test new healthcare technologies with these partners. This approach not only helps to validate the market potential of early-stage companies in New York, it also helps NYC healthcare providers improve the quality of their care and lower operational costs. Earlier this year, I joined the Advisory Board of the newly created Center of Entre preneurship at St. Francis College. The Center is an amazing initiative by the college to inspire entrepreneurial thinking among students and support New York based entrepreneurs with the school’s expertise and resources. 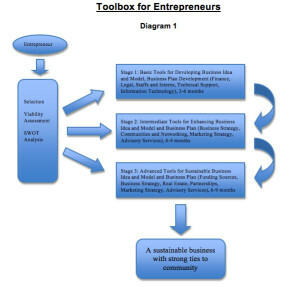 Since its launch past September the Center has developed a cross-disciplinary entrepreneurship curriculum for students that already jump started the first business ideas by SFC students. The Center also brought together a network of partners that strive to help entrepreneurs and small businesses prosper in New York City. To provide support for entrepreneurs that are not SFC students, the Center just launched a Person-to-Person (P2P) Virtual Incubator. To P2P Virtual Incubator addresses the need of many entrepreneurs: get advice in response to specific challenges the company faces. Your product is ready to be revealed. 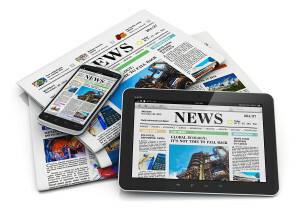 You are planning a targeted PR and marketing campaign to get it off the ground with the right positioning. 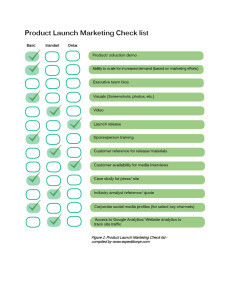 Take a look at our check list of marketing and PR essentials that you should have in place for the launch. 1. Corporate backgrounder: Prepare a 1-2 page document that describes your company and the value proposition of your product in simple language. Keep executive bios as add-ons on file to show the strengths of the management team. 2. Visuals: Pictures and videos are the most shared content. Prepare screen shots (high res and low res) that can be shared with the media and via social media channels. 3. Product demo: If you can see it, you believe it. A short product demo video can win reporters – and potential customers over – in less than 2 minutes. 4. Key words: Identify the 3 top key words that you want to own. Those key words should be represented in all your media materials, product brochures, social media posts and website text. 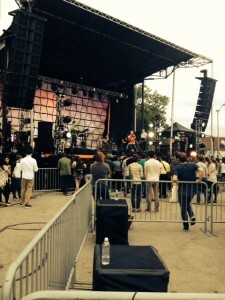 On June 12- 13, 2014 technologists, hackers, entrepreneurs and artists came together for the annual Northside Tradeshow, which was held as part of the Northside Festival in Brooklyn and featured tracks on innovation, music and film. A range of companies, from mobile apps to 3D printing companies, and vertical garden manufacturers, had set up a booth in the giant 50,000-square-foot tent in the McCarren Park. Expedition PR was also part of this year’s exhibitors, offering PR and marketing counsel to startups and free copies of its Startup Marketing eBook series. Ussemble, an app that lets you capture and share ideas for activities that you’re interested in doing with your friends and make plans around those ideas. The Ussemble team is still testing and perfecting their app, but you can already download it and give feedback. Tiggly, a New York-based company that develops interactive toys and apps for the digital generation. Their debut product, Tiggly Shapes, combines physical objects with iPad technology and creates great learning games for children between 18 months and 4 years old. The app helps toddlers and preschoolers develop spatial reasoning, motor skills, language, and creativity.